A grandmother who sexually abused her own grandson has had her seven-year jail term confirmed on appeal. The woman had been sentenced by a Magistrates’ Court in November last year after it heard how the child had initially been sexually abused by the boy’s maternal uncle before the grandmother also got involved. The boy, born out of a relationship between his mother and a Libyan national who had only discovered the existence of his son years later, had been entrusted at birth into the care of his maternal grandparents. It was only when the boy’s father returned to Malta and succeeded in winning custody over his son that the abuse eventually came to light. The father noted that something was amiss when his 10-year old child tried to kiss and touch the man’s partner in an intimate manner, explaining his behaviour by stating that his uncle and grandmother had touched him that way ever since he was five. The situation continued for some three years or so. The concerned father had immediately filed a police report and sought the help of Child Protection Services at Aġenzija Appoġġ. Although evidently reluctant to disclose the abuse, telling social workers that he “dearly loved” his grandmother, the boy revealed how his uncle, with whom he shared a bedroom at his grandparents’ home, had started off by watching pornographic films with him present as well as engaging in sexual acts with the minor. When the child had later tried to imitate the same sexual acts with his grandma, the latter had at first pushed him away, but had subsequently changed her attitude, sometimes even leading him on and engaging in sexual activity with the boy. Both the uncle and the grandmother were prosecuted, with the former admitting to the abuse in separate proceedings. In the course of proceedings against the grandmother, the court heard how the ordeal had negatively affected the child who could not control his sexual urges and needed medication to sleep. The Court of Criminal Appeal, presided over by Madam Justice Consuelo Scerri Herrera, handed down a 154-page long judgment in which it was stated that even though the minor was already corrupted by the uncle, the acts committed with the grandmother had the effect of corrupting the minor further. 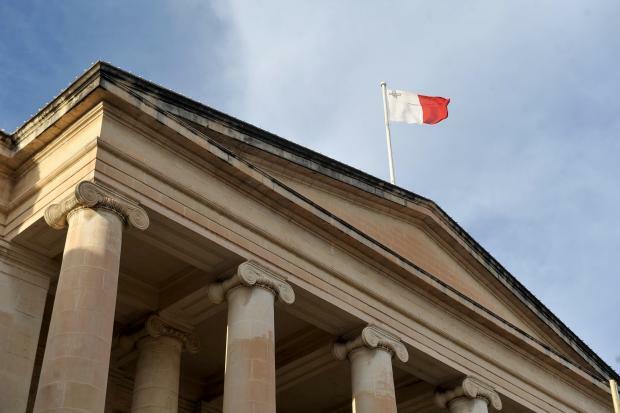 In the light of such evidence, the court rejected the woman’s appeal, confirming her seven-year jail term and three-year Protection Order in favour of the minor, further recommending that the accused be detained at the Forensic Unit at Mount Carmel Hospital.